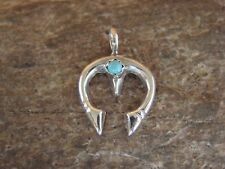 New ListingOLD PAWN Sterling SILVER Squash BLOSSOM Naja NECKLACE SIGNED SD Turquoise 16 IN. OLD ' NAVAJO INDIAN' SILVER METAL & ORANGE CORAL?? HUGE SQUASH BLOSSOM BRACELET!